Every winter I start to go stir crazy from Chicago’s insufferable weather. My madness starts in late January and grows steadily each day as I subject myself to the cold and dreary conditions. As time passes, I become hateful of coats, hats, and scarves. Then around the first of February, my hate of winter peaks. I, literally, find myself cussing at my boots and coat each time I put them on my body. Every time I walk outside, I flip the bird to the graduals of salt that cover the ground, I damn the gray skies and I curse the cold. Winter in Chicago BLOWS. Lucky for me, Charlie travels to Tampa every year for Hunahpu Day in March. I, longing for warmer temperatures and the sunshine, become a leech and I invite myself along on his beer trip. Charlie alone-time -0-, Happy Girlfriend 1. Our normal Hunahpu Day Weekend routine is coffee , beer, dinner, sleep, rinse and repeat. 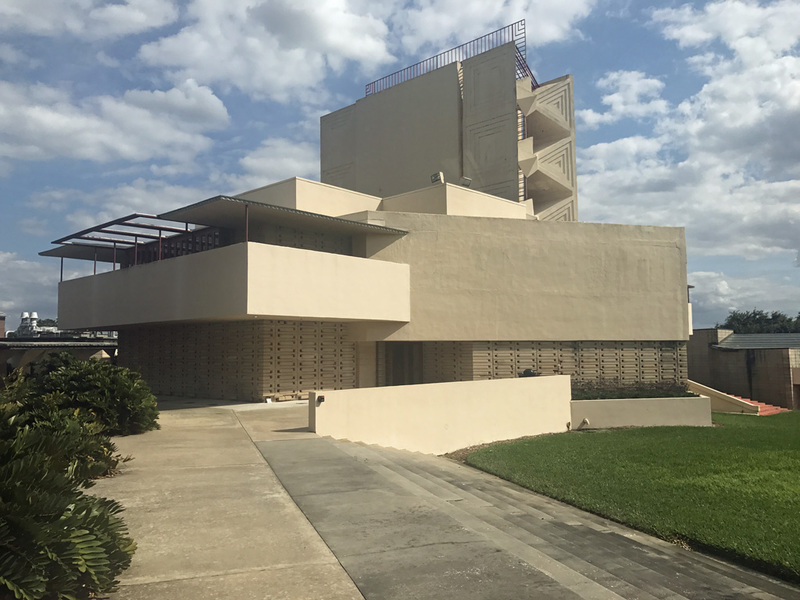 However, this year we explored some of Tampa Bay’s less visited attractions including Florida Southern College’s Frank Lloyd Wright architecture collection. 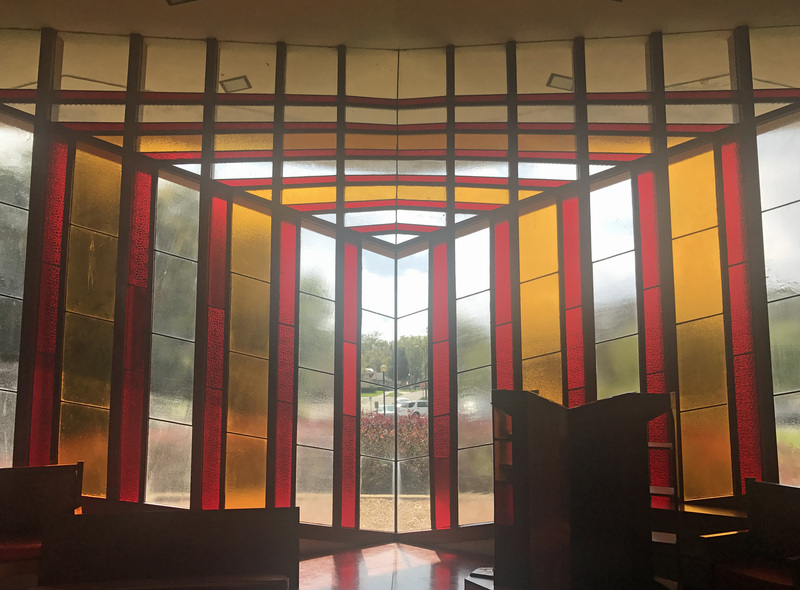 It is the largest single-site collection of Frank Lloyd Wright architecture in the world. The tour we selected was the self-guided walking tour during which we spent about an hour exploring the campus and the buildings. Like any historical site, upkeep is necessary. Many of the buildings are in bad shape but, the college has begun restoration of the buildings. It was great to see the preservation and the protection of American history. TIP: FSC also offers guided tours. Check out their website for times and days. They are somewhat limited and reservations are recommended. Taking our first day to immerse ourselves in Tampa Bay’s history, we next visited the J.C. Newman Cigar Company. 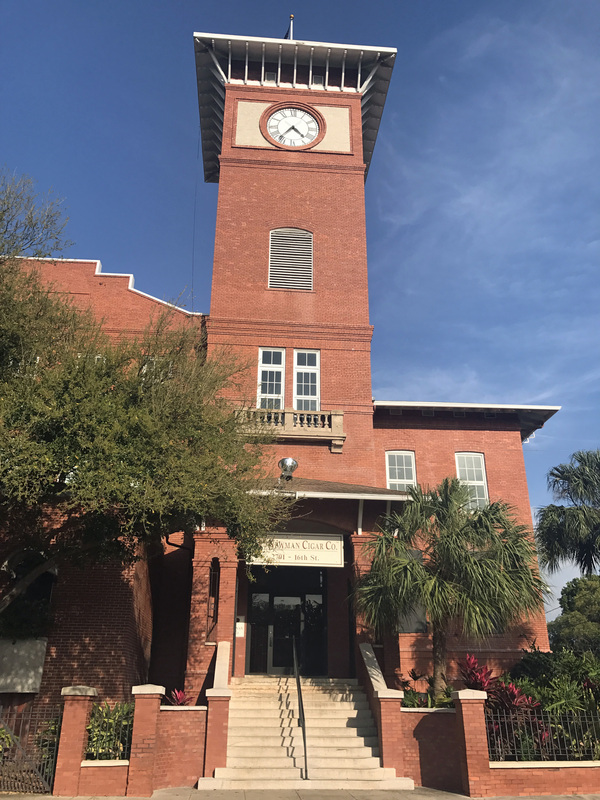 The factory is America’s oldest family-owned premium cigar manufacturer and it is also the last operating cigar factory in Tampa. There is a small museum that is free of charge and cigar store. TIP: The museum takes about 25-30 minutes explore and tours are available if you call ahead. This was a fun little stop to make in Tampa. It as interesting to learn about the history of cigars in the US, even if I don’t smoke them. After a long day of travel, we had a nice dinner in Ybor City at the historic Columbia Restaurant. What the food lacked in greatness the decor and ambiance made up for. 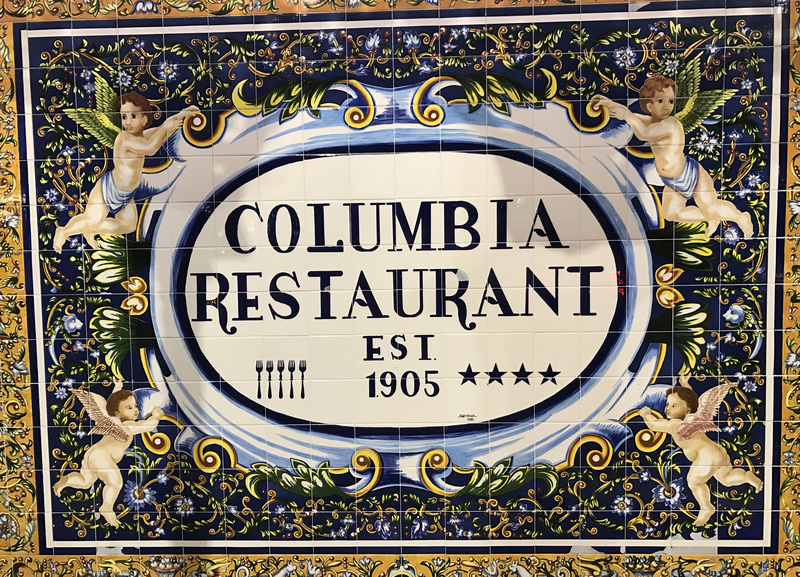 Columbia is the oldest restaurant in Florida. The same family has owned and served Spanish food since 1905. The food was good but nothing exceptional. The reason to visit this location the history and artwork that fills every room. TIP: In addition to lunch and dinner, they have Flamenco dance show: Monday through Thursday. Day two in Tampa was a spent relaxing on the beach at Sand Key Park. Our first stop was actually a beer release while we waited for the morning haze to clear. But once at the beach, we slathered on sunscreen, rented two chairs and plopped our lily white winter bodies down to soak up some vitamin D. Charlie rented a wave runner for an hour while I read a book. 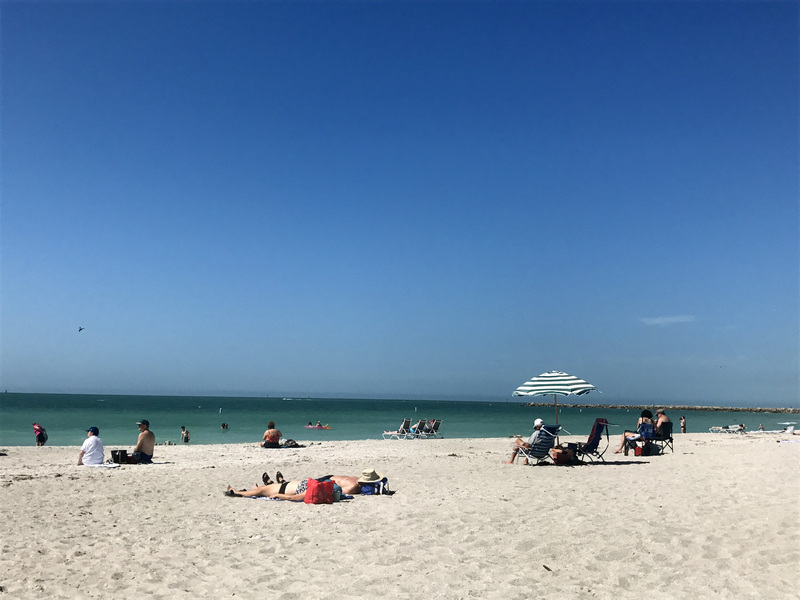 We chose Sand Key Beach for its clear water and sandy beach. It was is one of the nicest beaches, if not the nicest in the area. TIP: The parking fee is nominal and chair rental was about $10 per chair for the entire day. That night we met up with friends for a few beers and dinners. Nothing special, jut a good time socializing. The next two days we resumed our normal Hunahpu Day Weekend routine. Coffee, Beer, Dinner, Sleep rinse and repeat. I started both days at my favorite place in all of Tampa, Buddy Brew. 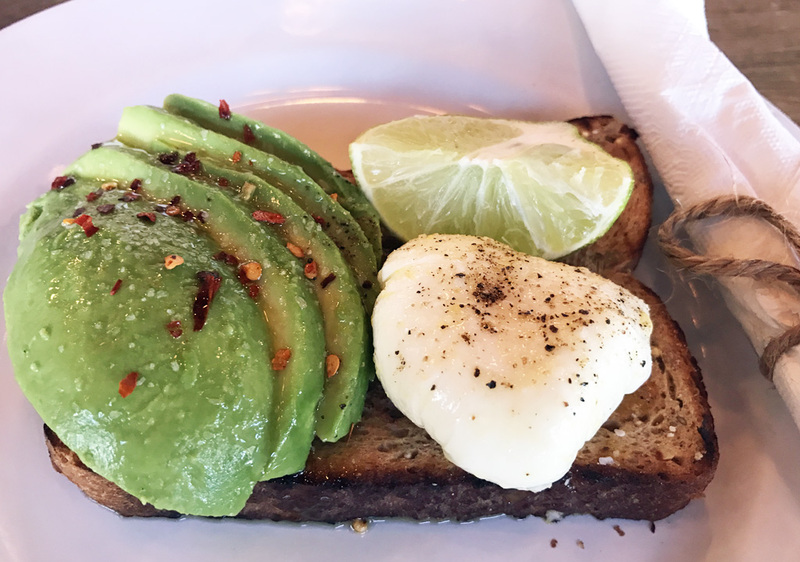 They make the BEST BEST BEST avocado toast. It is perfect. And, they also make a fine cup of coffee. From there we ventured to several breweries and craft beer bars. These are just a few of the places we hit over the weekend. The Tampa Bay area has pretty great craft beer scene. 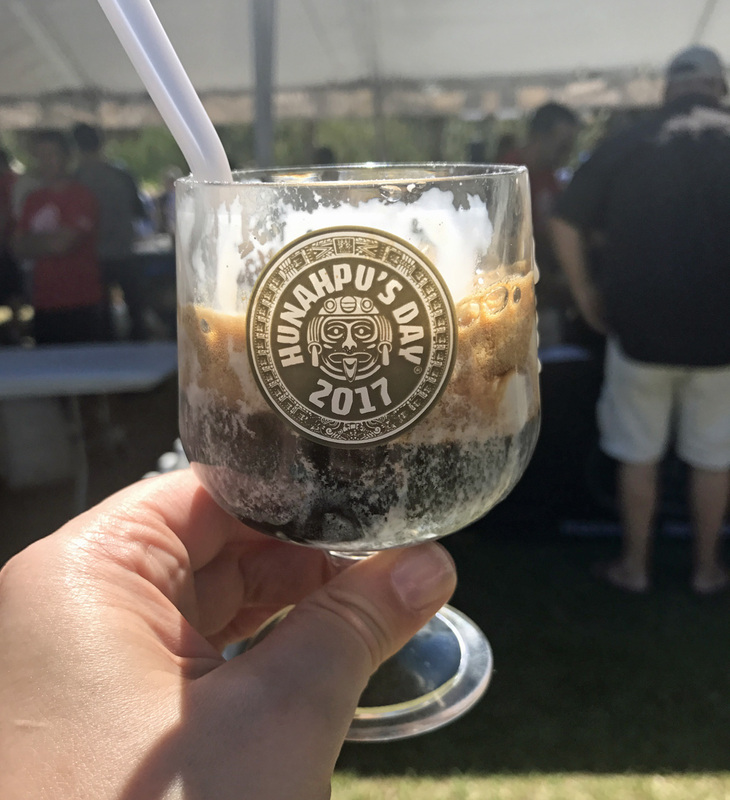 And the big party of the year- the Mac Daddy day in Tampa for beer is Hunahpu’s Day. The festival has changed quite a bit over the years. What used to be housed in the Cigar City parking lot is now held at a large park in downtown Tampa. Bottle shares are no longer allowed, but beer flows freely from over a hundred vendors. If you’re going to Hunahpu Day, I high recommend spending it with friends. Getting a group together is the way to go for maximum fun. 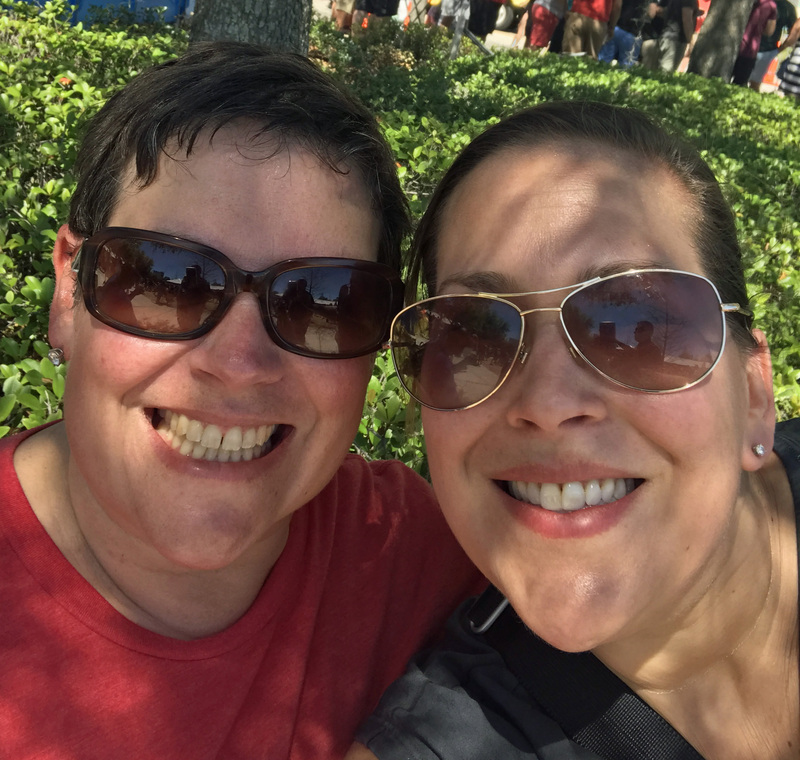 For years we have had a contingency of people in Tampa and this year one of my BFFs was there and this made it all the greater. TIPS: If your destination intention is not Hunahpu’s Day, I high recommend gong to Bush Gardens. It’s an awesome theme park. We crammed a lot into 3 short days in Tampa. Tampa Bay is more than just sleepy beach towns. It’s a thriving area, with great restaurants, craft beer bars, and breweries. It’s the perfect winter getaway destination. It was a great trip, and always great to see you!